Here are the top 8, in order, Instagram posts for the month of October. This is by rate of engagement from those that make this little creative outlet possible…you! To make shopping easy, I have included the link directly to the LIKEtoKNOW.it page for each post, in the caption of the photo, as well as the products themselves below the caption. 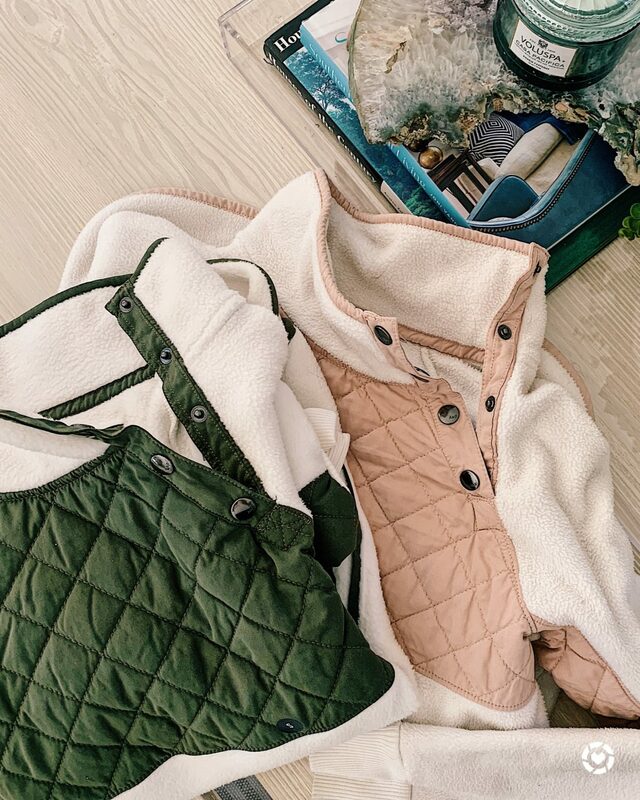 There are more products linked on LIKEtoKNOW.it, plus this is the way I prefer to shop blogger’s photos that I follow, so click the caption if you prefer this too! Do I wear anything else? 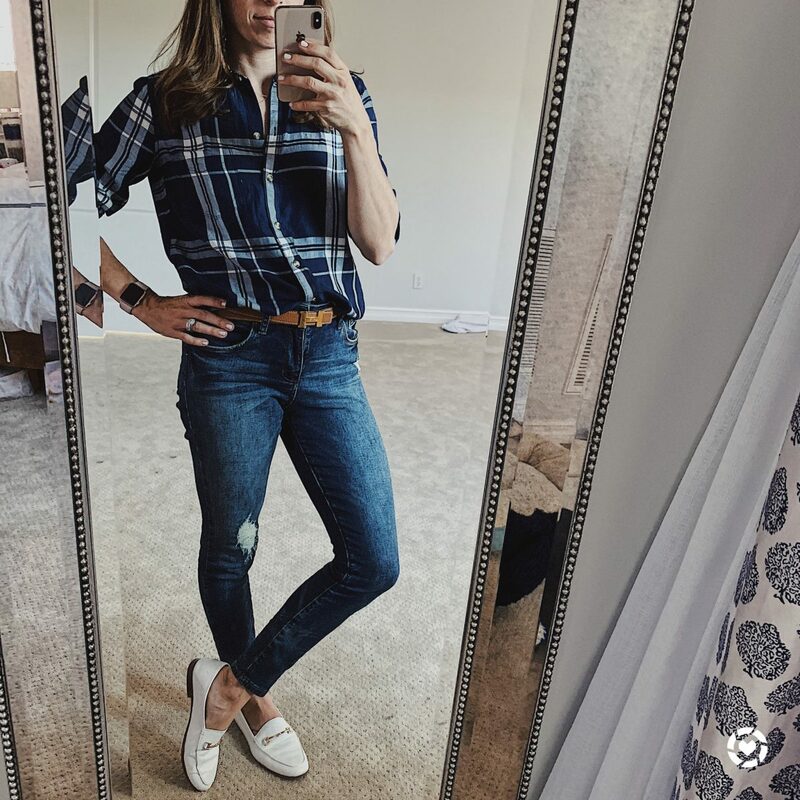 Whether I am in workout clothes all day, or had time to shower and put on shoes that facilitate me feeling like I look pulled together, yet can still safely play and chase my cuties, my closet is chalk full of “mom outfits.” I call this one PTA meeting ready. Nope. Didn’t have a meeting this day, but I was dressed the part! Most days, thanks to the San Diego weather, when I wear this, chances are I am sweating underneath. But I love being cozy and wished I lived somewhere where this was simply a layer, instead of my San Diego “winter” coat. When I spotted these during this sale, I thought I would try them on and return them. Yet, when they arrived, I was immediately in love. 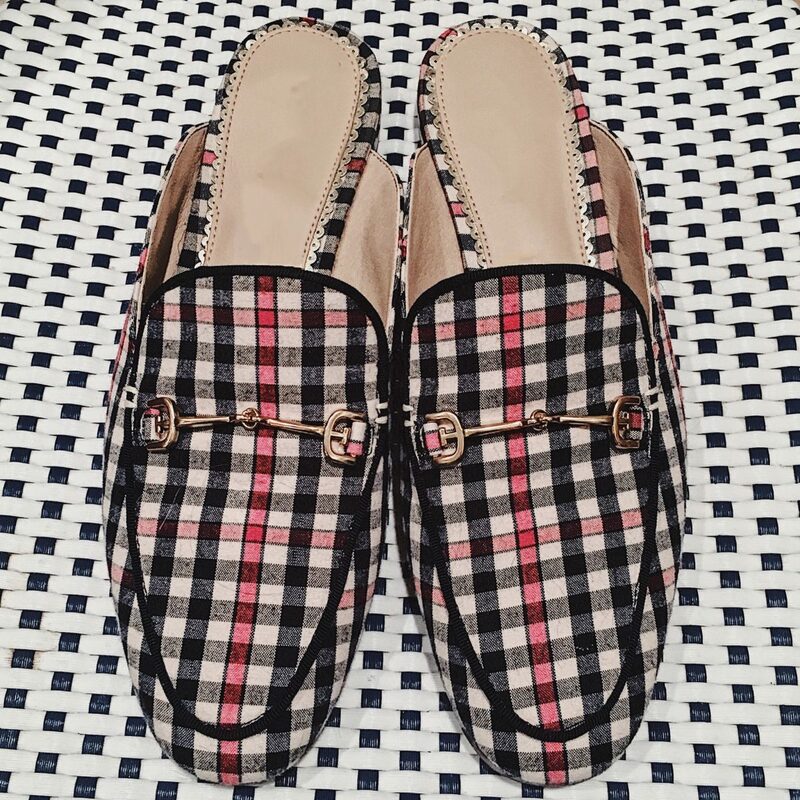 I love the crazy yet preppy pattern and they are surprisingly more comfortable than their pricey Gucci cousin. I single handily helped keep RENT THE RUNWAY in business this month with all of our festivities. 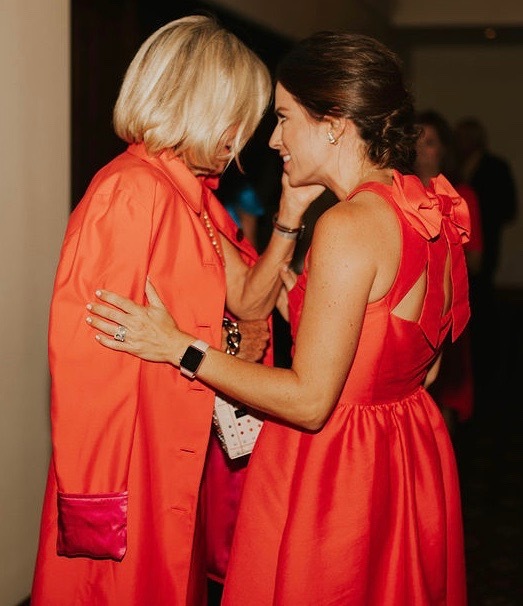 This BOW BACK DRESS was the perfect party dress and the price to rent was unbeatable. I love it: the color, the hugemonious bow on the back and the full skirt. Perfect! 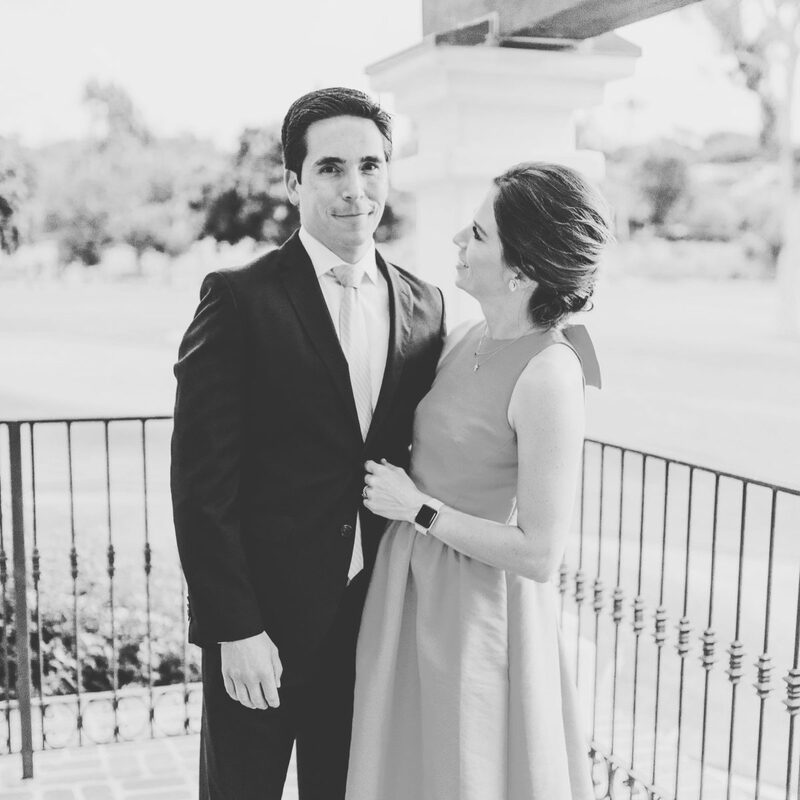 I am currently eyeing this NAVY FLOWER one, this MONIQUE LHUILLIER one and I wore this one to my brother’s baby shower that we hosted. Being a parent, you rarely get photos of yourself and your spouse. 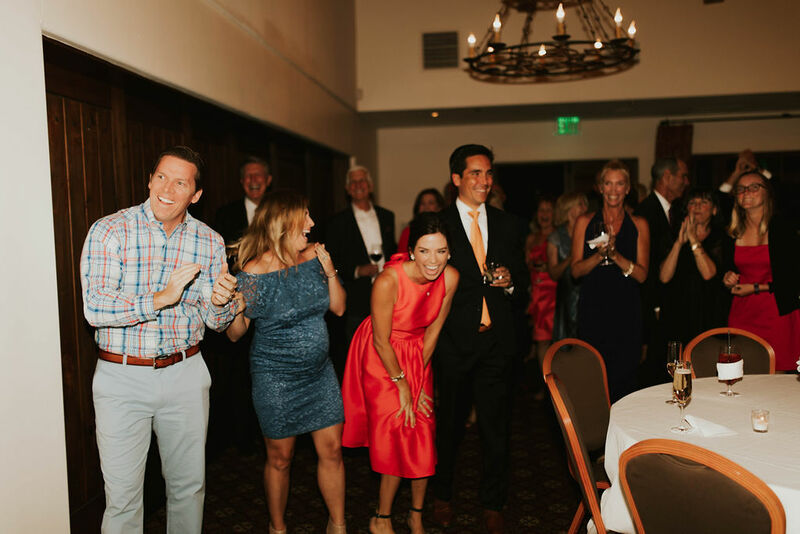 So thank you to ASHA for, not only getting the best pictures of my mom’s surprise party, and countless other life moments, but for getting some pictures of my husband and me before all the craziness of being the hosts. 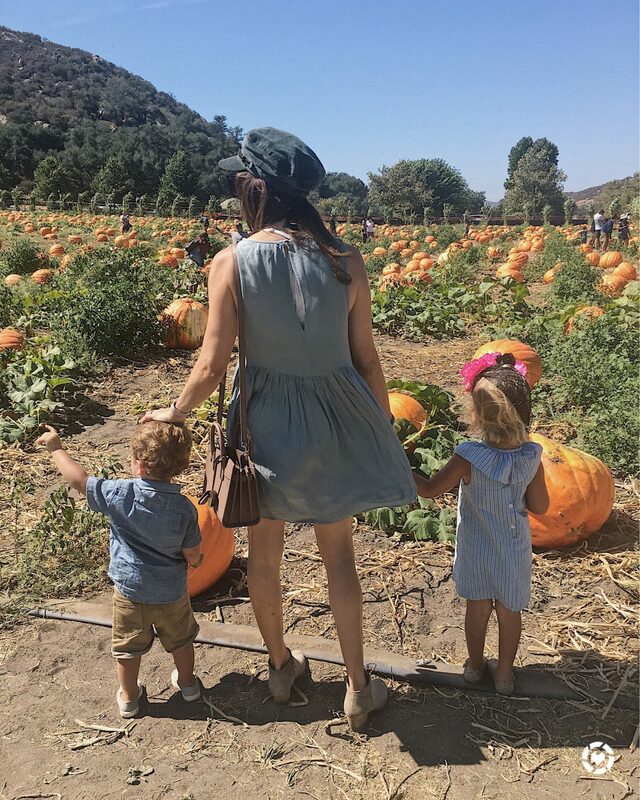 We had the quintessential fall day before all the fall craziness at Bates Nut Farm with our little “punkins,” as Leo calls them. What mom, or better yet, blogger doesn’t love a candid shot??? This photo, surprisingly, wasn’t staged at all and was after I dropped my phone on the floor. 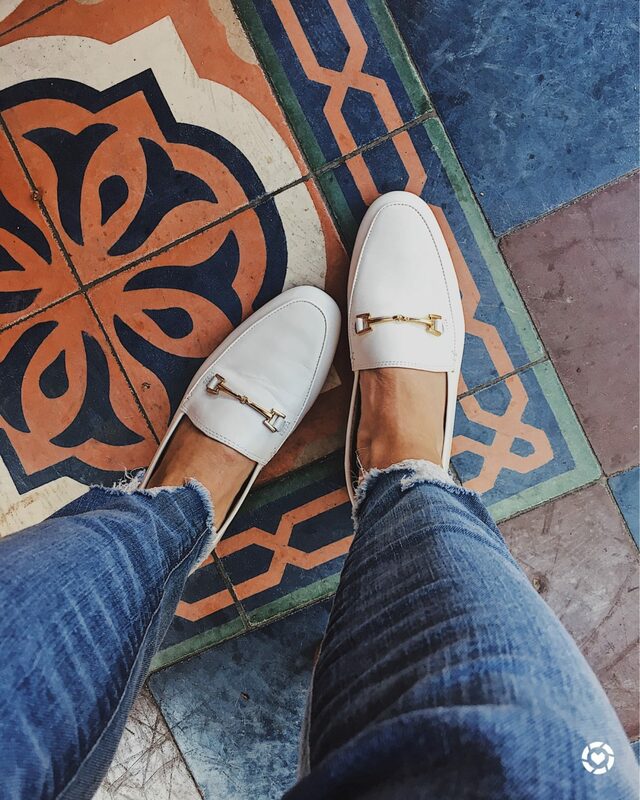 These loafers have been on repeat, not paying the “no white after Labor Day” rule any attention, since I purchased these weeks after.